Both coarse AND fine focusing. Once you are viewing specimens at 100x magnification or higher, having a fine focusing knob is essential for getting a crisp and clearly focused image. 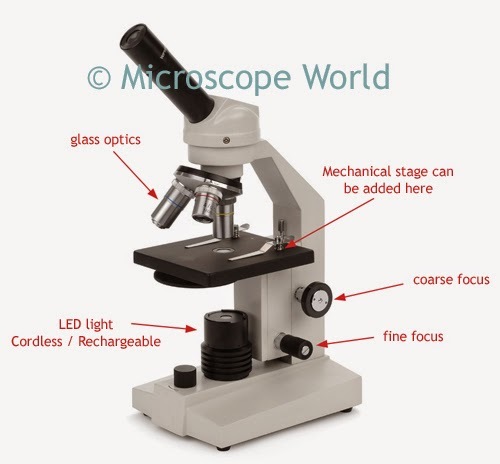 Inexpensive kids microscopes will only have a coarse focusing knob. The fine focusing knob eliminates quite a lot of frustration for both children and adults. Consider the light. Both LED and halogen light sources are cool. If you are looking at living samples, this is the best way to keep those samples alive! LED bulbs last much longer than any other type of bulb. Fluorescent and tungsten lights heat up when in use. Additionally, is it important for you to have a cordless microscope? Many microscopes now are rechargeable and this makes them more kid-friendly, as you don't have cords stretched from a table to a wall outlet when the microscope is in use. Do you need to capture images? There are a number of digital kids microscopes available from WiFi microscopes, and LCD tablet microscopes, to USB digital microscopes. If you want to capture images, decide whether you would prefer to view your images on a computer next to your microscope, or on a tablet mounted directly on your microscope. 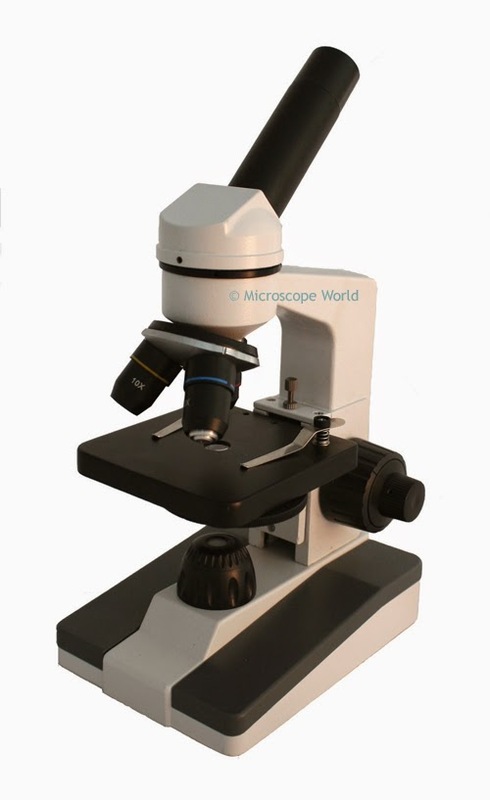 Keep in mind that you can often convert a standard microscope to digital after purchasing, if you don't wish to invest in a digital microscope up front. Consider the Optics. To be completely honest - any kind of plastic optics are horrible. Eyepieces and objective lenses should all be made of glass. If you are looking at a kids microscope under $50 it probably has plastic optics (as well as plastic parts, which break easily). Looking through plastic optics is similar to looking through an extremely dirty window. Consider the Magnification. Anything above 1000x in empty magnification and is unnecessary. 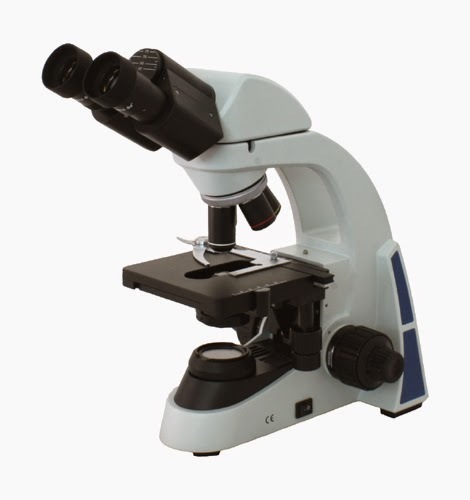 You can view bacteria, blood cells and Protozoans all at 400x. More magnification is not better. Digital Version can be found here. 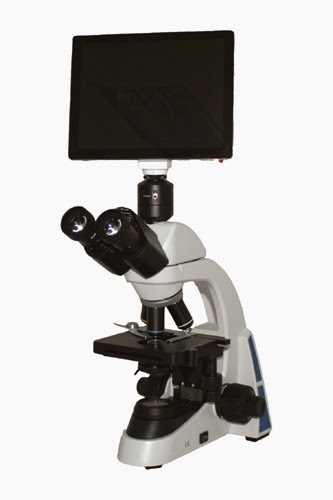 If you are looking for a specific student microscope setup please contact us for further information.